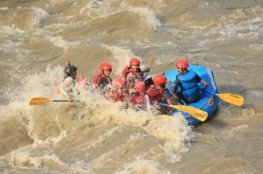 180 kilometers long Karnali River springs straight from Mount Kailash in Tibet and is one of the most preferred rafting destinations by both the guides and rafters as it offers an excellent white water thrilling roller coaster ride. The river flows into remote areas of immaculate jungle with abundant wildlife, birds and fish. The starting point of this rafting track is Dhungeshwor, which is around a 24 hour drive from Kathmandu; whereas the take out point is Chisapani (578 kilometers from Kathmandu). 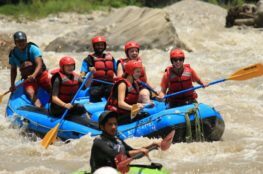 The combination of some exquisite natural beauty and the magnificent white water canyon makes Karnali rafting one of the best trips available in Nepal. The best seasons to raft in Karnali are October to December and March to May. The 10 days river expedition is ideal for someone who is looking for a more different experience of Nepal with beautiful scenery and a great river action. 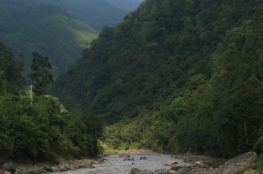 And the main advantage of this rafting trip is that the take out point is situated ideally for people who want to visit Bardia National Park; and Karnali River itself is a great destination for fishing. Karnali rafting is one of the finest multi day rafting destinations. We will drive to Surkhet from Kathmandu, which takes about 16 hours. We will spend the night there. After breakfast, we will head towards Dhugeshwor, which is a 6 to 7 hours’ drive from Surkhet. Preparations for the rafting will begin on the 3rd day, where we have to through the rapid called “1st Inquiry”. You will be guided by the professionals for safety and paddling instructions. We will camp on the river bank this day. After all the preparation and a fulfilling breakfast, we’ll start our journey. We will come across big rapids like Jail house today. The adventure of rafting in Karnali will begin on the 5th day. 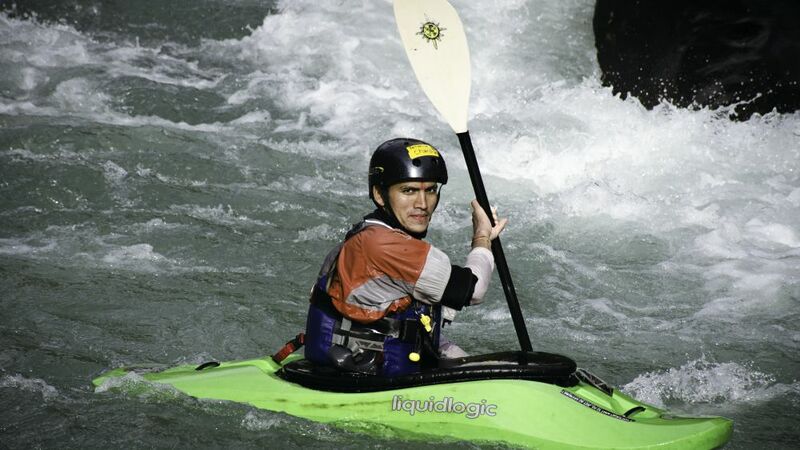 We will hit some rapids of God House, Juicer, Flip and Strip. After rafting further down the river we will reach the conference of Seti Beni, which will be our camp site for the day. This is our Layover day. We will remain unraft at SetiBeni for this day. We will raft almost the entire day today. You will get to witness some enchanting sceneries and hit a few small rapids which will be like relaxing after two days of a thrilling experience. After paddling down further we will reach Jamuna village; the camp site for day 6. Our rafting trip will continue from Jamuna village and we will camp and relax at an unspoiled beach today. We will continue to raft this day while enjoying the beautiful sceneries and relax throughout the journey as the frequency of the rapids start to decrease. We will set our camp at some instant distance above of Bheri Confluence. On the final day of our rafting trip, we will reach Chisapani. You can either drive back to Kathmandu or Bardiya National Park for a jungle safari of 2 day; or you can fly back to Kathmandu from Nepalgunj. Two-way transportation – buses, 4WDs.